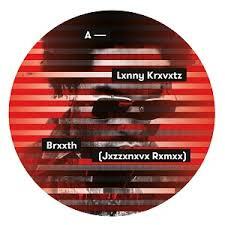 RECORD STORE DAY 2017 EXCLUSIVE, LIMITED.Back in 2006 the German producer collective Jxzzxnxvx were asked to remix the US superstar Lxnny Krxvxtz for a famous vodka brand. Their remix got pressed on 7inch and the only 300 copies were used for a party invitation. It was never released officially. Now almost 11 years later we have finally a repress on 10inch including the instrumental remix on the B side. Sounding fresh like a cold vodka on a summer day.